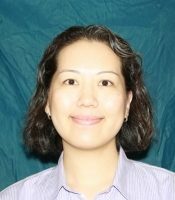 Dr. Chang is an assistant professor in the Department of Emergency Medicine and Program in Trauma at the University of Maryland School of Medicine. She completed an emergency medicine residency at the University of Cincinnati followed by a neurocritical care fellowship at Johns Hopkins University. Her interests include noninvasive detection and monitoring of brain injuries, care of the neurologically injured patients through the healthcare continuum, and end-of-life care of patients with acute neurological injuries. Dr. Chang has published and lectured nationally on the topics of traumatic brain injury, subarachnoid hemorrhage, and other neurological emergencies.